I, too, was challenged to step out of my comfort zone and try something different. And though there were many (many) things that would fall into that category, I knew immediately what I wanted to do. I’ve been a devoted consumer of sushi ever since my dad introduced me to it over 30 years ago. Yet – like most of us – I’ve never entertained the thought of trying to make it myself. 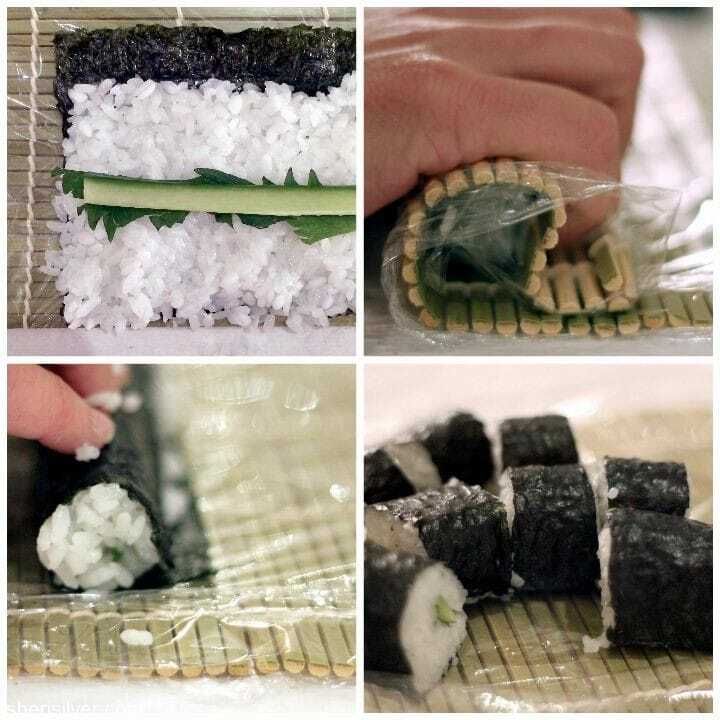 From preparing the special rice, to cutting up the ingredients, to perfectly rolling those rolls – well, it always seemed a cuisine best left to the experts. 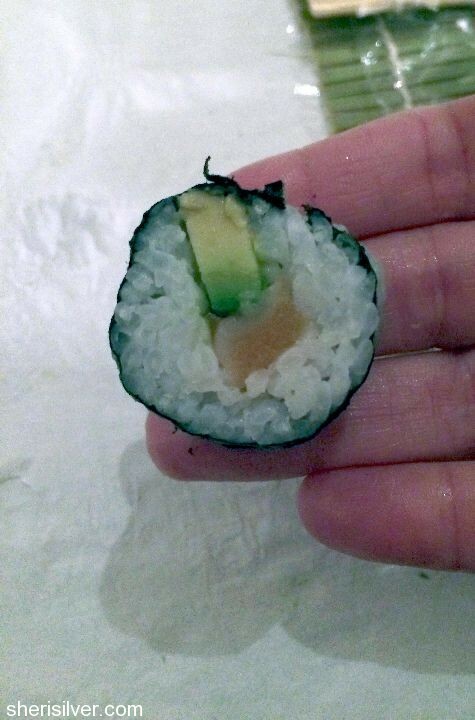 So in thinking about a kitchen skill that was a far reach for me, sushi-making was the clear winner. I found a “basics” class offered in the city, and roped Chelsea into joining me. We spent 2+ hours in the back room of a midtown restaurant this past weekend, learning all about sushi from a fabulous, funny, engaging instructor (thanks Alexandra!). We learned how to prepare the vinegar rice, how to set up the mat, and every single step needed to prepare the two most common types of rolls. 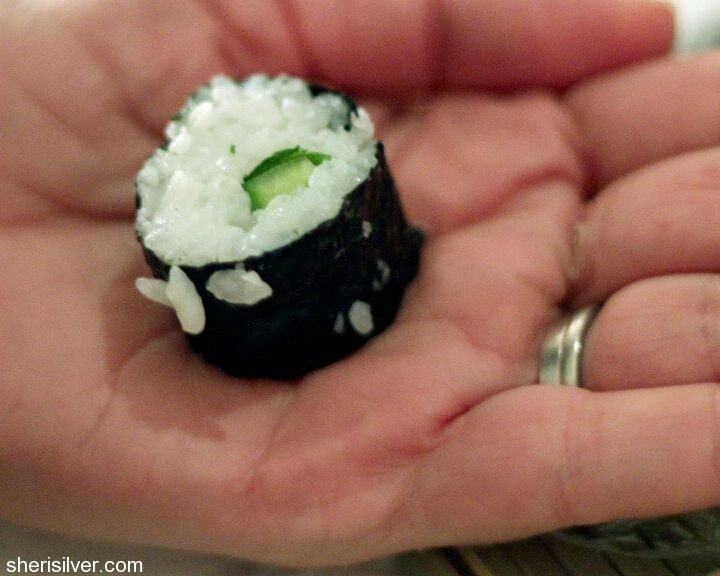 We also learned how to shop for ingredients, what to look for when buying fish for sushi, and some fun facts too – for example, though there have been sushi restaurants in the U.S. dating back as far as the 1950’s, it was the now-ubiquitous California roll that really put it on the map here. 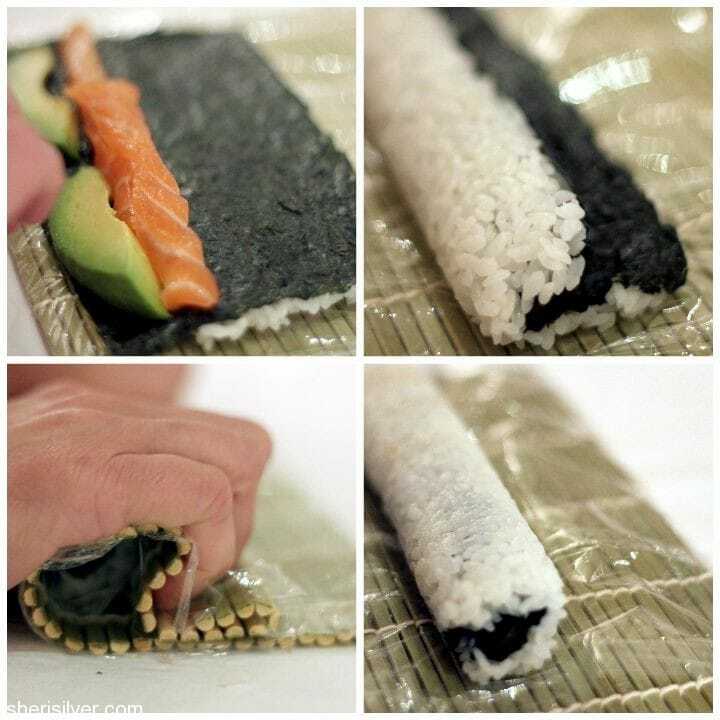 The 2 key features of the roll – the rice on the outside (“hiding” the seaweed), and the use of crab and avocado (versus raw fish) made the concept of sushi more palatable to Americans, and it’s been a non-stop love fest ever since. Alexandra completely demystified the whole sushi-making process, and I was shocked at how much simpler it was to execute my beloved rolls than I had imagined. I can actually envision making and serving sushi at home, and am looking forward to impressing friends and family with my newfound skills. Have you ever tried something new that took you out of your “comfort zone”? Share it here! Note: This post is sponsored by Ford. All comments and opinions expressed here are – as always – completely my own.